The main article for this category is Order of the Golden Fleece. Wikimedia Commons has media related to Knights of the Golden Fleece. 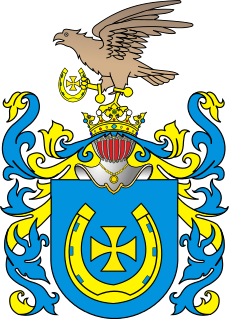 Taczanowski is the surname of a Polish szlachta (nobility) family from Poznań bearing the Jastrzębiec coat of arms and the motto: Plus penser que dire. They took their name from their estate Taczanów in the 15th century and by the 19th century were among the leading magnates in partitioned-Poland. Members of the family are historically significant religious, political, scientific, and military figures. The family was granted the title of count by King Friedrich Wilhelm IV of Prussia in 1857. The Austrian branch of the family, which spells the name Dassanowsky, came to Vienna with the forces of King Jan Sobieski during the Battle of Vienna in 1683. Archduke Carl Ludwig of Austria, also known as Carl Ludwig Habsburg-Lothringen, was the fifth child of Charles I of Austria and Princess Zita of Bourbon-Parma. He was born in Baden bei Wien and died in Brussels. Franz, Duke of Bavaria is head of the House of Wittelsbach, the former ruling family of the Kingdom of Bavaria. His great-grandfather King Ludwig III was the last ruling monarch of Bavaria until deposed in 1918. 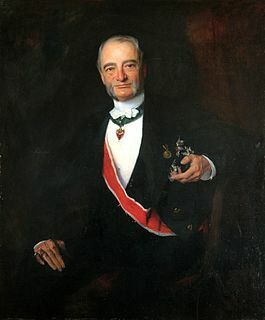 Prince Antônio of Orléans-Braganza, whose baptismal name is Antônio João Maria José Jorge Miguel Gabriel Rafael Gonzaga de Orléans e Bragança e Wittelsbach, is a member of the Imperial House of Brazil. 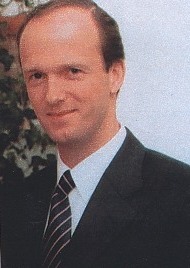 Archduke Simeon of Austria is a member of the House of Habsburg-Lorraine. He is the third-eldest child of Archduke Rudolf of Austria and his first wife, Countess Xenia Czernichev-Besobrasov. Simeon is a paternal grandson of Charles I of Austria and Zita of Bourbon-Parma. Alfred, 2nd Prince of Montenuovo and Grandee of Spain was one of the highest court officials of Emperor Franz Joseph I of Austria. Among his ancestors were members of the House of Habsburg and the Medici family. 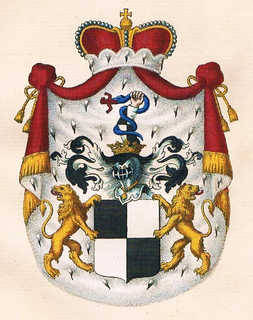 The House of Hoyos is a Spanish and Austro-Hungarian noble family. It derives its name from El Hoyo de Pinares in Ávila, Castile and León, and can be traced to the 9th century. Bohuslav, Count Chotek von Chotkow und Wognin. was a Bohemian nobleman and a diplomat in the service of Austria-Hungary. He was the father of Sophie, Duchess of Hohenberg, the morganatic wife of Archduke Franz Ferdinand of Austria. Collalto are an Austrian noble house of Lombard origin, named after their seat at Collalto in Susegana, now in the Province of Treviso in Italy. The family was raised to the rank of Prince in 1822.